[June 19, 2017] MOUNT PULASKI - Micah Wakeman, 43, of Mount Pulaski passed away at 1:21a.m. June 13, 2017. Micah Bradley “Bubba” Wakeman, 43, of Mt. Pulaski passed away on Tuesday, June 13, 2017 in Emden. Micah was born on December 25, 1973 in Decatur, the son of Jerry Wakeman and Gwendolyn Gilman. Micah married Laura Pierdos on September 22, 1995 in Westfield. Micah is survived by his wife: Laura Wakeman; his children: Ashton, Emily, Josie, and Zeke Wakeman all of Mount Pulaski; his father: Jerry (Gail) Wakeman; his mother: Gwen Wagner; his sisters: Cynthia (Scott) Broadway of Westfield, IN, Heather (Rodney) Case of Arcadia, IN, and Amanda (Jim) Grubaugh of Cicero, IN; his brother: Andrew (Jenny) Wakeman of Amelinghousen, Germany; his step-sister: Kristin (Jason) Quimby of Anderson, IN; his mother-in-law: Deborah Pierdos; father-in-law: John Pierdos; sister-in-law: Lisa (Luke) Gilliatt of Westfield, IN; 16 aunts & uncles, 14 nieces & nephews and numerous cousins. Additionally, Micah was a father figure to TeNejah and Taylah; as well as many other foster children. Micah was a Firefighter in Decatur. He was an elder at Mount Pulaski Christian Church where he also taught Sunday school, was a youth group leader, and filled countless other roles. 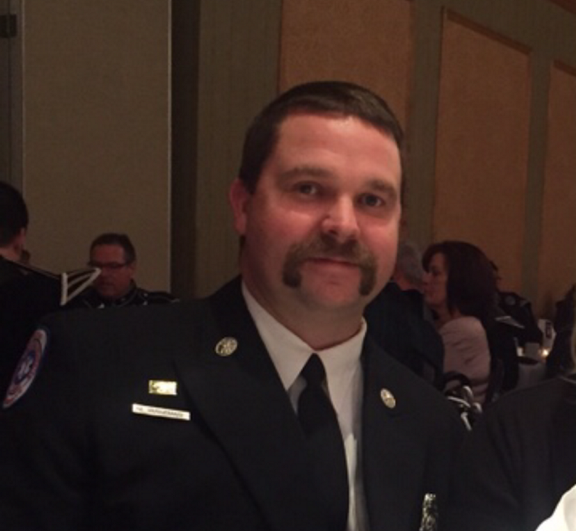 He was associated with the Emmaus Community and was the Director of Mount Pulaski EMS. Services for Micah will be held at 11:00 a.m. on Tuesday, June 20, 2017 at Life Foursquare Church in Decatur, with Mark Weber officiating, where full Fire Department Honor Guard services will be accorded. Visitation will take place from 3:00-7:00 p.m. on Monday, June 19, 2017 at Mount Pulaski Christian Church (in the Family Life Center). Fire Department line up will be at 5:30 p.m. with the Fire Department walk through at 6:00 p.m. Burial will take place after the services at Illini Cemetery in Warrensburg. In lieu of flowers, memorial donations may be made in Micah’s name to The Micah Wakeman Memorial Fund. 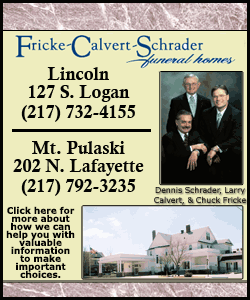 Services have been entrusted to Fricke-Calvert-Schrader Funeral Home in Mount Pulaski.